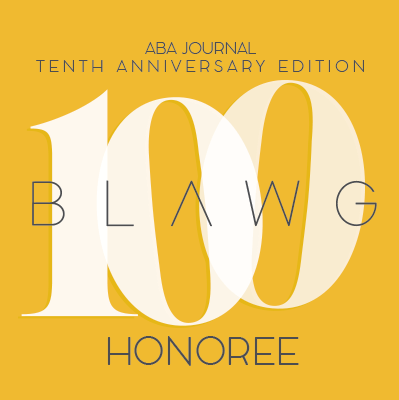 We see privilege issues discussed in judicial decisions, legal commentary, and mainstream news. 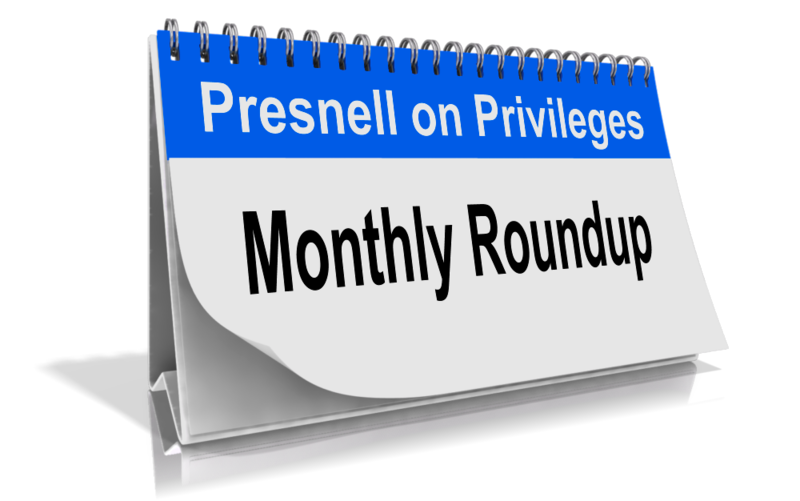 Here is my Monthly Privilege Roundup of interesting privilege issues for October 2017. → The Univ. of Louisville, citing attorney–client privilege, refuses to release its GC’s letter to fired AD Tom Jurich outlining the administration’s problems with how Jurich executed a 10-year, $160 million extension of the school’s apparel sponsorship with Adidas. Open-records advocates question whether the privilege actually applies to the letter. You may read the story here. → Remember Jodi Arias, convicted killer of her boyfriend? Her criminal defense attorney, now-disbarred Kirk Nurmi, recently published a tell-all book about his representation of Ms. Arias titled “Trapped with Ms. Arias.” Arias, now serving a life sentence, sued her former attorney claiming that he revealed confidential, privilege information in the book. She wants his book proceeds. Story here. → Harvey Weinstein reportedly retained attorney Lisa Bloom to investigate the background of women who accused Weinstein of sexual harassment in an effort to discredit them. Bloom, who resigned from the representation, recently commented that she was not aware of the sexual assault allegations, but should have been. Weinstein has now threatened Bloom with a lawsuit, claiming further comments would violate the attorney–client privilege. Stories here and here. → Three civilian death-penalty lawyers representing Abd al Rahim al Nashiri, accused of orchestrating al-Qaida’s USS Cole bombing off the Yemen coast in 2000, abruptly quit the case and refused to fly to Guantanamo for a pre-trial hearing. These lawyers cite a “covert breach of the attorney–client privilege involving something secret at the prison.” You may read the Miami Herald story here. → The so-called “Trump Dossier,” wherein former British spy Christopher Steele reportedly detailed illicit Trump conduct, is back in the news. According to the Washington Examiner, the Clinton Campaign’s GC’s law firm retained Fusion GPS which, in turn, hired Steele to conduct the research. A source with a congressional investigation committee claims that the Democrats “tried to launder the dossier through their law firm to protect it via attorney-client privilege.” This story is worth following, and you may read the Washington Examiner story here and the US News & World Report story here. → Citing the attorney–client privilege, a federal judge refused to order disclosure of former Assistant Attorney General Ted Olson’s 1984 memorandum to the OLC detailing a NSA surveillance program’s constitutionality. Read the story, which discusses the opinion, here. → Interesting public-records issue is brewing in Muscatine, Iowa, where the City Council impeached Mayor Diana Broderson. Broderson has appealed, and many citizens want to see what the Council spent in attorneys’ fees and what work it requested. The Council produced significantly redacted invoices, however, prompting this editorial in the Des Moines Register. Internal-Investigation Emails between Non-Attorney Employees–Privileged?